A born and bred Londoner, founder Samina's parents originated from Pakistan. Her mother opened up her eyes to world flavours and fom very early on Samina knew she loved cooking, especially desserts. 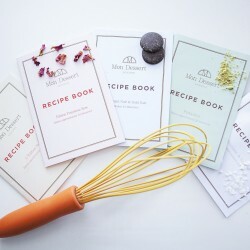 After a career in online advertising, and two children, she decided to pursue her love affair of making French patisserie, and Mon Dessert was born. 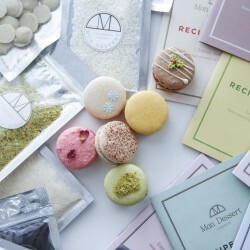 Mon Dessert have cracked the French patisserie code by creating delicious treats using contemporary techniques and all natural ingredients. 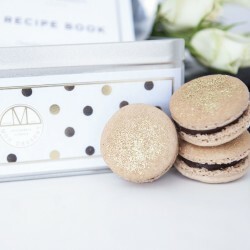 The ingredients they use in their delectable macarons and macaron kits are organic and gluten free, and the colouring is all natural. 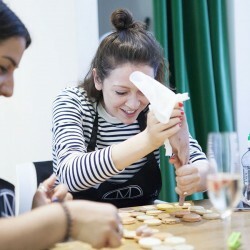 Create luxury macarons from the comfort of your own kitchen or just treat yourself or a lucky recipient with their fabulous macarons or classes.